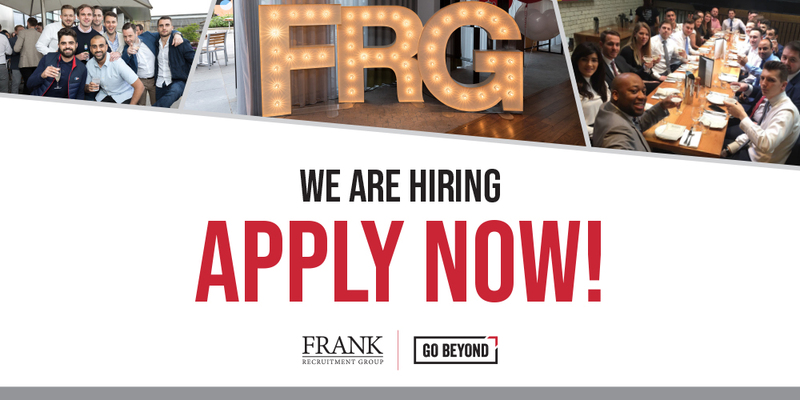 If you’re a Polish speaker looking for a challenging new career, Frank Recruitment Group has exactly what you need. We are currently recruiting multiple Polish Speaking Trainee Candidate Delivery Consultants to join our lucrative and rapidly growing Warsaw team. We offer hard-working, financially motivated applicants the chance to establish a successful career in a fast-paced recruiting environment. Please note that this career involves working with clients and candidates who speak Polish and therefore requires complete oral and written fluency in Polish. Native and non-native speakers are welcome to apply. Any previous experience in sales or inside sales/telesales is a plus but not required! No previous experience is required as all recruitment consultants are provided with industry-leading training. All new recruiters go through the Go Beyond Development Pathway, our training program that will give you all of the sales training and mentoring you will need to be extremely successful. The sales development program covering client and candidate management, business development, contract negotiation, business to business sales and recruiting best practices. Our intense training is a mix of seminar-style courses, on-the-job coaching, personal development plans, and a dedicated senior mentor. Apply now and join our team of Polish Speaking Trainee Candidate Delivery Consultants in Warsaw.